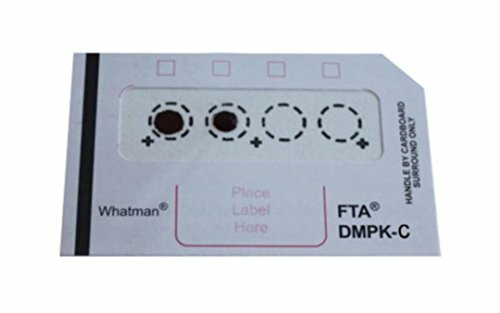 Whatman WB129243 FTA DMPK-C Card for Dried Blood Spot (DBS) DNA Analysis and Archiving - Pack of 100 by Whatman at In The National Interest. MPN: WB129243. Hurry! Limited time offer. Offer valid only while supplies last.